POWER TO FOLLOW YOUR DREAMS. Reconditioned. 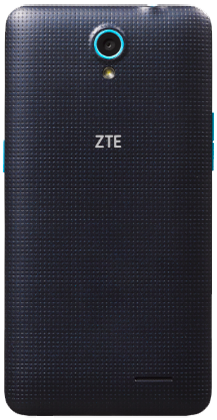 Power your productivity with the ZTE Midnight® Pro LTE™. 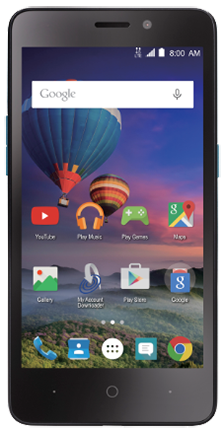 With quad-core performance and all the amazing features of Android™ 5.1.1, the Midnight Pro LTE is a reliable tool for managing apps and multitasking. Stay connected to your network wherever you go with support for Wi-Fi® calling and continuous talk time of up to 11 hours. Designed for both form and functionality, the exterior is textured for slip resistance and asserts style with its distinct midnight blue color and light blue accents. 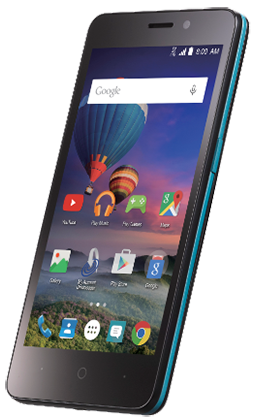 Explore the Midnight Pro LTE and experience your world made mobile. A Service Plan Required for Activation. Plans are not returnable or refundable. Text ZEZ828L to 611611 for mobile tutorials. Rear 5 MP; Front 2 MP and 720p Camcorder. Internal Memory: ROM: 8GB, RAM: 1GB - Removable Memory Card: Supports microSDHC™ card up to 32GB (not included).